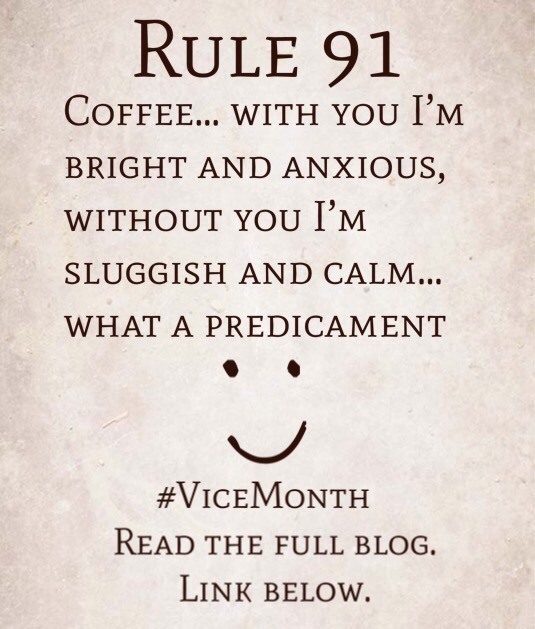 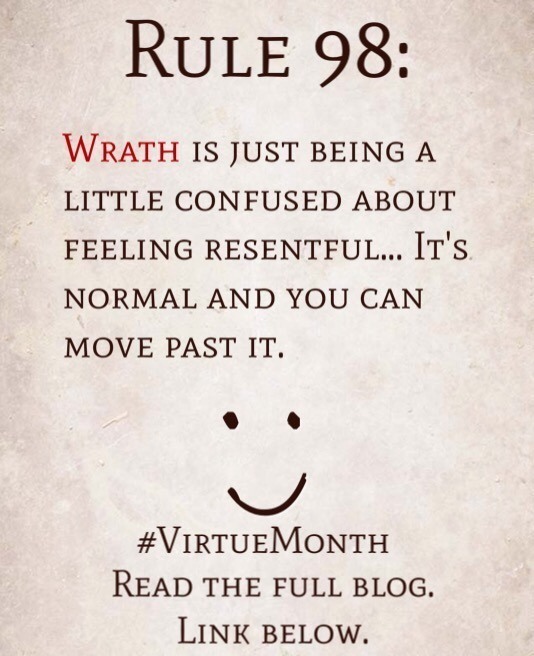 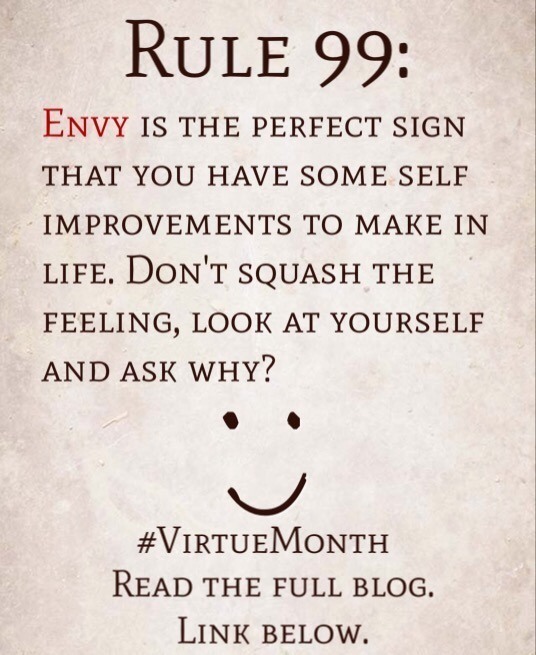 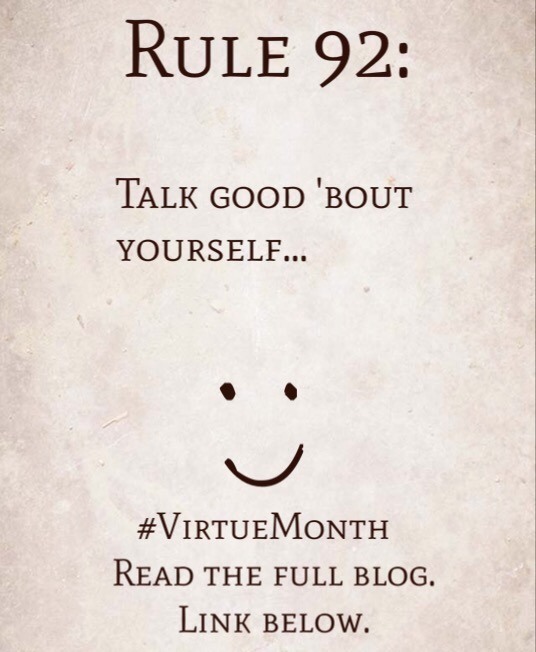 Rule 99: Envy is the perfect sign that you have some improvements to make in life. 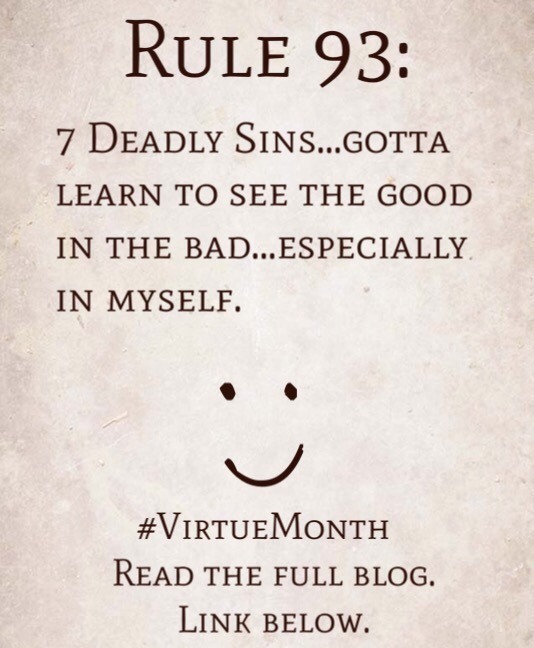 Don’t squash the feeling, look at yourself and ask why? 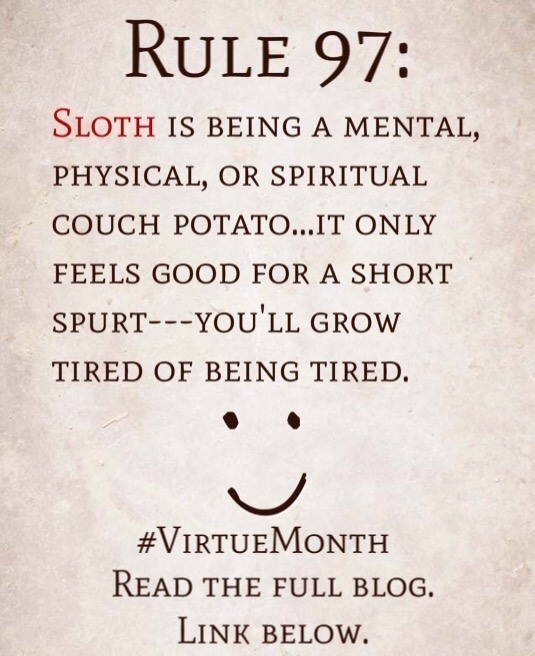 Rule 97: Sloth is being a mental, physical, or spiritual couch potato…it only feels good for a short spurt—you’ll grow tired of being tired. 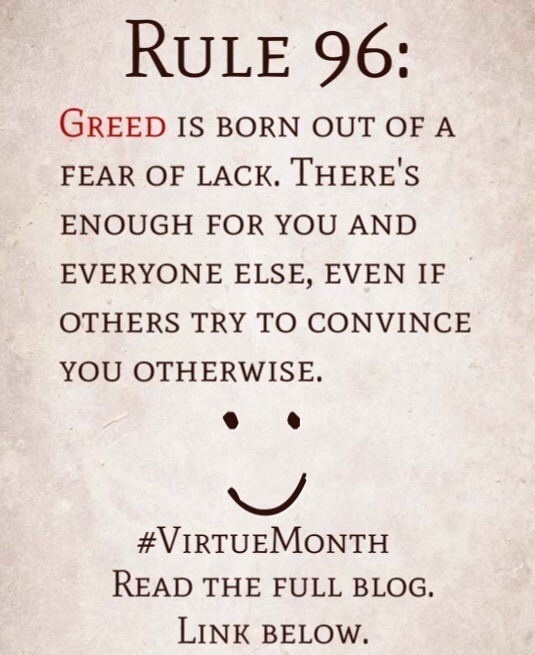 Rule 96: Greed is born out of a fear of lack. 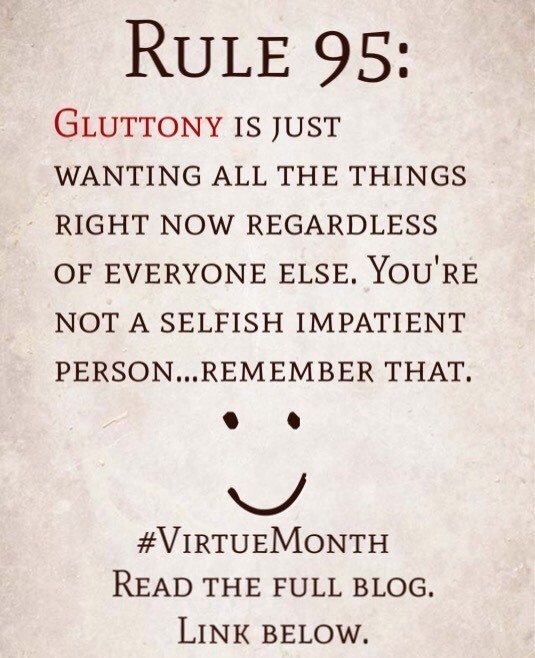 There’s enough for you and everyone else, even if others try to convince you otherwise. 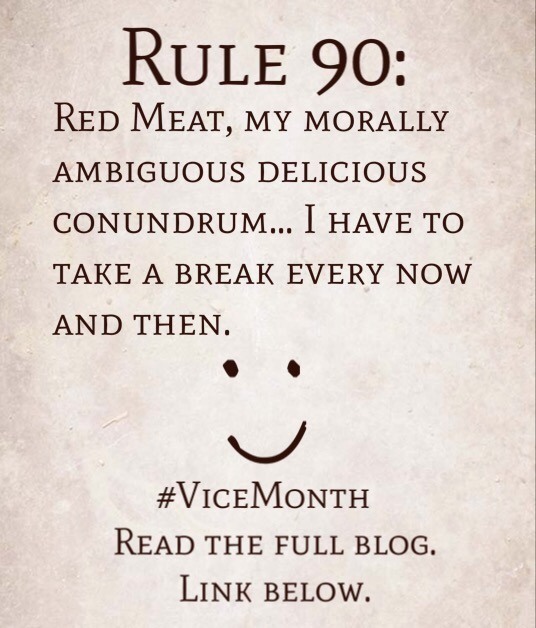 Rule 90: Red Meat, my morally ambiguous delicious conundrum… I have to take a break every now and then.